No matter how hectic your day is – the reliable Toshiba technology incorporated in this A3 system ensures hassle-free handling and intuitive usage when you need it most. Based on sophisticated technology the e-STUDIO 2303am easily integrate into networks and is intuitve to use. Designed to meet the highest environmental standards, this model helps save valuable resources. 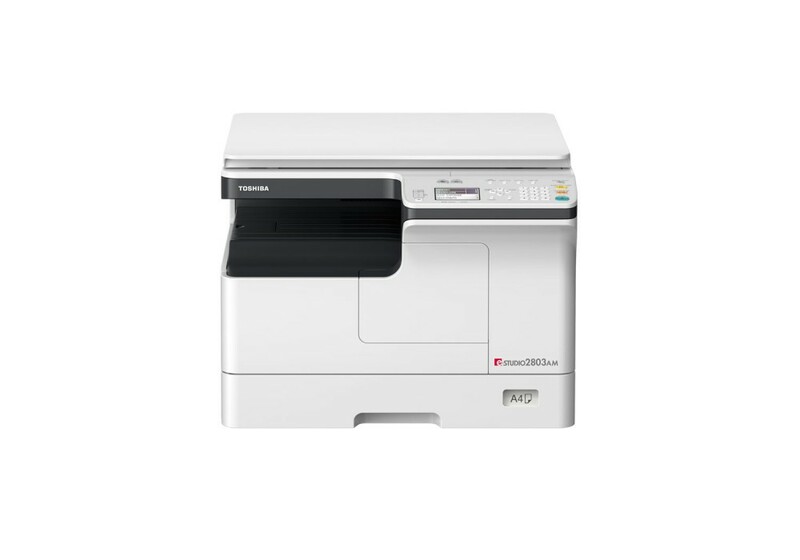 With an output speed of 23 and 28 pages per minute the e-STUDIO 2303am/2803am can easily keep up with the needs of today’s businesses. Their outstanding image quality will give your documents a professional look and leave a lasting impression with your business partners.